Nnamdi Azikiwe International Airport is the bustling gateway to Abuja, the capital city of Nigeria. The airport made its debut into the Nigerian aviation society in 2002 and has since become the second busiest airport in Nigeria. Nnamdi Azikiwe International Airport was named after the country’s first president, Nnamdi Azikiwe. Nnamdi Azikiwe International Airport (IATA code: ABV) serves domestic and international flights and is a hub for both Arik Air and IRS Airlines. Flights to Nnamdi Azikiwe International Airport are provided by international airlines such as Turkish Airlines, Air France, and British Airways. ABV is a 40-minute drive from the central city of Abuja. Book your cheap flights to and from Nnamdi Azikiwe International Airport online! Nnamdi Azikiwe International Airport serves the city of Abuja, in the Federal Capital Territory of Nigeria. Since beginning operations in 2002, Nnamdi Azikiwe International Airport (often referred to simply as Abuja Airport) has become the second busiest airport in the country. The airport is a hub for domestic departures and arrivals and direct flights to a number of cities in Africa and Europe. The airport was shut down for 6 weeks in early 2017, during which time extensive repairs were made to the runway. Nnamdi Azikiwe International Airport offers several eateries and airport shops where you can buy books, newspapers and other minor items. Nnamdi Azikiwe International Airport lounges offer a welcome respite from the heat of the city and chaos of the airport. Gabfol Lounge is available to economy class travellers. Services and facilities include: flight information monitor, air-conditioning, showers, television, disabled access, beverages, and Wi-Fi. SDS Lounge is located in the international terminal and is available to economy class travellers. Services and facilities include: air-conditioning, disabled access, flight information monitor, showers, fax machine, television, telephone, newspapers/magazines, internet/Wi-Fi, smoking area, beverages. Lounge One is located in terminal B and is available to economy class travellers. Services and facilities include: air-conditioning, beverages, newspapers/magazines, television, telephone, Wi-Fi, flight information monitor, disabled access. This 3-star hotel is a 40-minute drive from Nnamdi Azikiwe International Airport. Some of the amenities include: restaurant and bar/lounge, business centre, airport shuttle bus, laundry service, concierge services, and luggage storage. Complimentary Wi-Fi, breakfast, and parking are available. These 3-star self-catering apartments are a 30-minute drive from Nnamdi Azikiwe International Airport. Amenities include a restaurant, swimming pool, nightclub, fitness centre, conference centre, air-conditioning, housekeeping, garden, airport shuttle bus, and childcare services. Complimentary Wi-Fi is available. This 4-star hotel is situated in the peaceful district of Jabi, which is a 40-minute drive from the airport. Amenities include a restaurant and bar, swimming pool, fitness centre, business centre, 24-hour reception, housekeeping, safe, air-conditioning, terrace, and airport shuttle. Complimentary Wi-Fi and parking is available. There are no foreign exchange services at Nnamdi Azikiwe International Airport. To safely purchase you will need to visit one of the main banks of Nigeria. 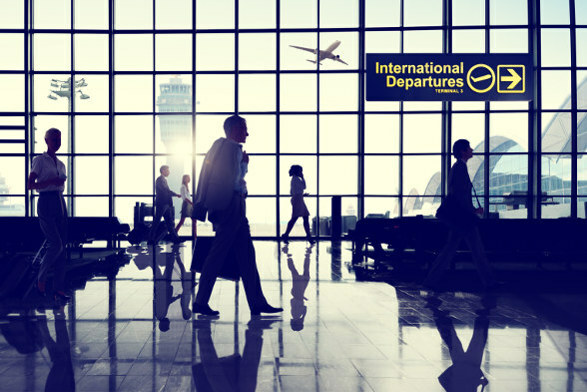 Foreign currency can be bought up to 60 days before departing South Africa. Short-term parking is available at Nnamdi Azikiwe International Airport. Nnamdi Azikiwe International Airport is located on the outskirts of Abuja, approximately 40 km southwest of the city centre. It will take a 40-minute drive to get from the airport to the central city. Several transport options are available that will get you to your destination in Abuja. These include: Car hire, airport cabs, metered taxis, buses, and private transfers.